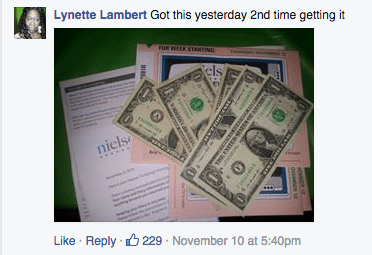 You are here: Home / Budgeting / Nielsen and Harris Poll Online really work! Nielsen and Harris Poll Online really work! 1. To get started, fill out the quick registration form! 2. Once you have registered, you will need to verify your email address and answer the initial quick survey. Then, you are on the way to taking fun surveys and redeeming rewards! Once you become an HPOL member, you will instantly receive a quick survey to earn your first points! Once you complete the initial survey, you will start receiving invitations to participate in a variety of cool surveys. Topics include: consumer, technical, political, etc. For every survey you successfully complete, you will receive points called HIpoints, which you will be able to exchange for awesome rewards after just doing a couple of surveys! For each survey that you are directed to, but do not qualify for, you will be rewarded a HIstakes entry and 15 HIpoints. Also, with every survey you complete you have a chance to enter our $10,000 sweepstakes!